Window Treatment specialists. Our firm provides full design service and consultation for all types of residential and commercial applications. We offer a breadth of products from a wide selection of manufacturers including Hunter Douglas, Shade-O-Matic, Levolor, Maxxmar, Comfortex, Sun Glow and many more. We have our own blind fabrication facilities and a drapery workroom located in London Ontario Canada. We are a customer service driven company, offering complimentary consultation and shopping in the comfort of your own home through most of our showroom/store locations. These services are also being added in other centres throughout Ontario. We bring the showroom to you, providing professional service and convenience at an affordable price. Our professional team of experienced & knowledgeable Home Fashion Consultants will assist you in choosing the right look and style for your home. We make an extensive line of drapery and sheers, valances, blinds and shades, as well as a full range of hardware to complete your look. We carry a complete line of bedding including duvets and duvet covers, comforters, custom bedding, custom soft headboards and pillows. To see hundreds of fabric and style choices, visit one of our locations today or contact us for your complimentary home consultation. Call toll free at 1-855-626-8377. For all your decorating needs, we are experts in window coverings including custom drapery and custom blinds and shutters. We are a Hunter Douglas Showcase dealer offering the exclusive Alustra collection. We also offer colour consultation and decorating services. Let us help you pull your renovation together. Toronto's One-Stop-Shop For Window Coverings & More - Best of Houzz! Amazing Window Fashions offers personalized and customized window covering designs that fit your needs and budget. We represent the largest selection of high-end brands at our 9000sq ft showroom! Welcome to Gotcha Covered of North Kitchener, Waterloo and surrounding areas, where custom window treatments is our passion! Georgia offers free, no-obligation consultations and will gladly meet you at your home or office to learn about your needs, explain the options, and then work with you to find the right mix of products that match your needs. Whether you are looking for light or heat control, privacy, aesthetics, or all of the above, we have the solution to fit any style or budget and look forward to helping you with your project. Our expert installation will take all of the worry out of the process, and our satisfaction guarantee and warranties will give you peace of mind far into the future. With our expert guidance, industry-leading products from nationally recognized vendors, and honest, long-lasting workmanship, you can rest assured that you’re getting the best window treatment services in the business. Contact us today for an appointment! Here at Window Fashions Depot, our professional team of experts will assist you with everything you need to complete your project in a timely manner; we are passionate with everything we do. 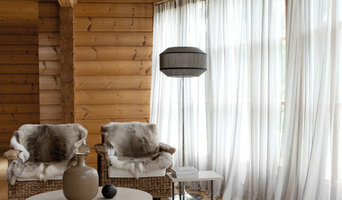 The Winter Pillows Drapery Workroom provides professional sewing services to interior designers and private customers. We are specializing in producing of custom made soft window treatments, pillows, quilt and bedding. SelectBlindsCanada.ca is a Canadian owned and operated company that provides Canadian consumers with quality blinds at a competitive price through an easy to use website! Since its founding, we at Budget Blinds Serving Kitchener and Guelph have proudly served the local community by offering high quality and stylish window coverings for any occasion. Our goal is simple: To provide you with the best products and services in order to enrich your home environment. Our lavish selection of window treatments includes shutters, blinds, draperies, shades and even window film. Regardless of the windows size or shape, you can rest assured Budget Blinds Serving Kitchener will have a customized window coverings solution ready for you. 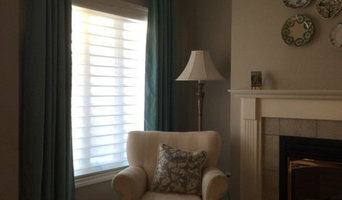 We supply and install all types of window coverings.....blinds, shades, drapes, shutters, etc. We offer free in home consultations where the customer can choose the product and color. We can measure, provide estimates and complete the sale right in the customer's home. Once we receive the order, we return and install the window coverings. Since its founding, we at Budget Blinds Serving Cambridge have proudly served the local community by offering high quality and stylish window coverings for any occasion. Our goal is simple: to provide you with the best products and services in order to enrich your home environment. Our lavish selection of window treatments includes shutters, blinds, draperies, shades and even window film. Regardless of the window’s size or shape, you can rest assured Budget Blinds Serving Cambridge will have a customized window coverings solution ready for you. Call us today to schedule your free in-home consultation. We’ll bring you the highest quality and most fashionable window coverings in Cambridge and surrounding areas. Looking forward to helping you beautify your home! Since its founding, we at Budget Blinds based in London, Ontario have proudly served the local community by offering high quality and stylish window coverings for any occasion. Our goal is simple: to provide you with the best products and services in order to enrich your home environment. Our lavish selection of window treatments includes shutters, blinds, draperies, shades and even window film. Regardless of the window’s size or shape, you can rest assured Budget Blinds will have a customized window coverings solution ready for you. Call us today to schedule your FREE in-home consultation. We’ll bring you the highest quality and most fashionable window coverings available in London and surrounding areas. Looking forward to helping you beautify your home! My name is Gretta and I have a lot to show you in my boutique in Elmira. I have been helping people make the most of their lovely homes since 1985 in the Kitchener, Waterloo, Guelph, Woolwhich and Wellesley areas. Please come in to my Design Galleria where you can get all sorts of advice for your interior design and renovation projects. If you welcome me into your home I can help you dress your house. A full service stained glass studio based in London Ontario Canada for over 30 years. Blinds By Design Ltd is a family-owned and operated window covering company based out of London, ON. We can help with all window treatment projects from small to large, residential or commercial. The company was founded in 2002 by owner Nicki Kranidis, with a mission to provide design solutions, quality products, and unbeatable service to homeowners and commercial clients. Our trusted team can help execute your window covering project from start to finish. After the design process and ordering is complete, we will install the products with care and expertise. Our team will double-check that all window treatments are perfectly installed and operating correctly before leaving, and will take any mess with them to ensure a clean and tidy space. We know that our clients have high expectations and demands when it comes to purchasing window treatments. Our work is guaranteed to meet the highest of standards. We have knowledge and experience to bring solutions to even the most complex of window treatment and shading issues. We would be happy to meet with you for a design and colour consultation. You can even shop from home to see how products would look with your windows. We have so many options for window blinds, custom draperies, shutters, valances, and window shades. You are sure to find the look and function you desire with the vast window covering collections available at Blinds By Design Ltd. We are partnered with leading brands to offer the finest products at competitive prices. Our featured manufacturers include Shade-O-Matic, Eclipse Shutters, Levolor, and Hunter Douglas. Blinds By Design Ltd has helped residential homeowners and commercial clients with window treatment projects across Southwestern Ontario for 15+ years. We service many cities including London, Ilderton, Lucan, Dorchester, Thorndale, Port Stanley, and surrounding areas. We would love to add you to our growing base of thrilled window covering customers. We are members of the London Chamber of Commerce, the London Home Builders Association, and LPMA (the London Property Management Association). Our rating with the Better Business Bureau (BBB) is A+. Whether you are seeking to install new Eclipse shutters, Shade-O-Matic contoured roller shades, or Hunter Douglas blinds, we would love to speak with you about your window treatment project! Call us today at (519) 681-9992.